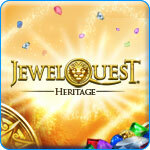 Jewel Quest Heritage Game - Download and Play Free Version! A Family Treasure Has Been Stolen! Rupert's rival, Sebastian Grenard, has taken the Golden Jewel Board and claimed it as a family heirloom! 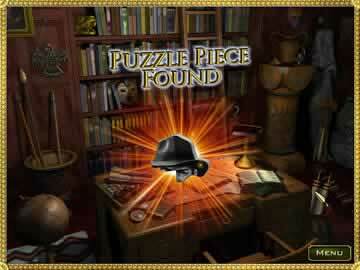 Now, Rupert must trace his family back to the Aztecs to prove that the Golden Jewel Board is rightfully his. This match three game features three types of gameplay to keep you on your toes. 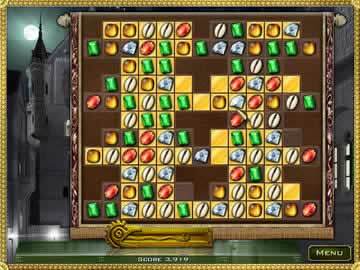 The first type is normal match three gameplay where you must swap gems to make matches of three or more to turn the board below the match gold. When the entire board is gold, you win. The second type is Swap mode and you have a limited number of gem swaps in which to beat the level. The third type is Limited Jewels and you have a limited number of gems to use to complete the board. The three types of match three are great because you can relax with normal boards but turn up the excitement for the other two types. The difficulty level gradually increases and new obstacles like buried jewels, locked spaces and ice blocks are added as you advance so you won't get bored. This addicting game will keep you busy for countless hours! Help Rupert retrieve the Golden Jewel Board now in Jewel Quest 4: Heritage!